We tend to think of ourselves as culturally aware. When we travel to a new country, we embrace the cultural idiosyncrasies that push against our senses, including the good and the bad. These cultural quirks are one of the main reasons we travel, to interact with the culture first hand and learn more about it. Our minds are always open to new and interesting cultural quirks. It all started innocuously enough. We bought some tickets from our homestay for a show nearby, and arrived early to watch the set up and make up of the Kathakali dance. This was by far the best part of the show. 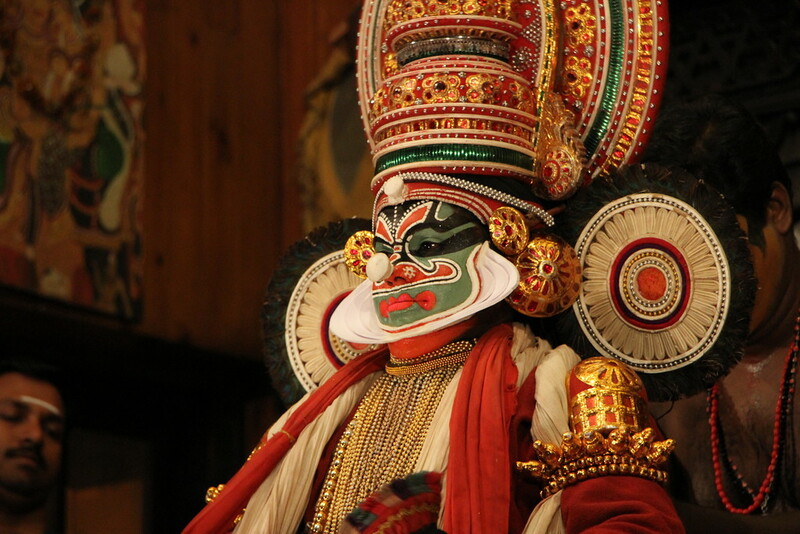 For those who don’t know, a Kathakali dance is an incredibly detailed, intricate dance drama with elaborate costumes and make up. Traditionally the plays last all night, but we chose to see a reduced (2 -3 hours) excerpt of the overall story. Despite this edited version, it would still prove too much for us. Firstly, the positives. 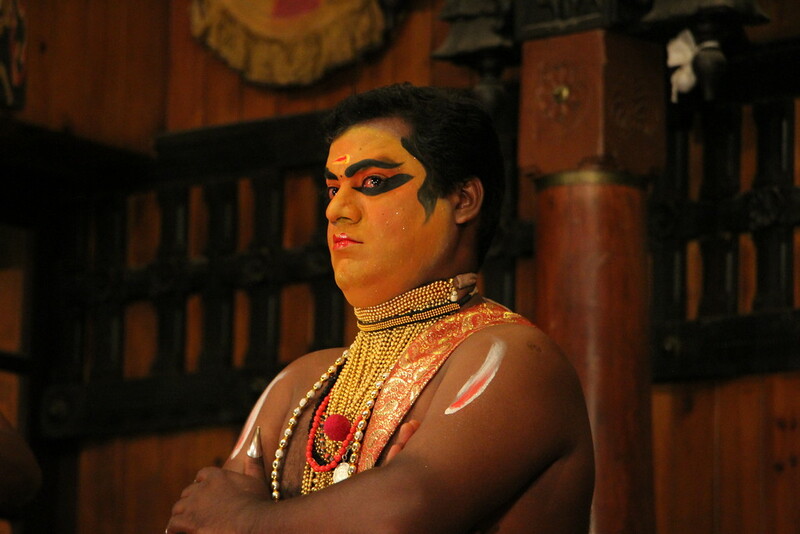 The preparation and training for a traditional Cochin dance is incredible, and if you arrive early enough (at least an hour before it starts), you can observe the actors preparing themselves on the stage through a long process of make up application and various additions to the face. 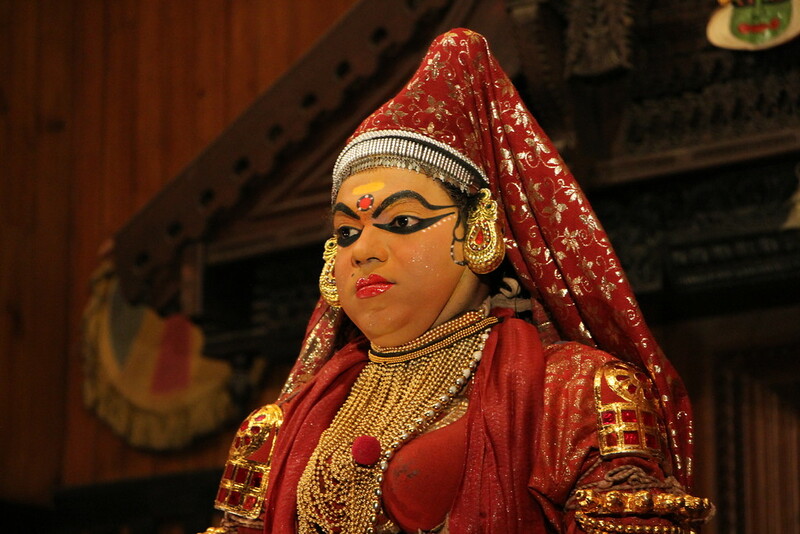 It is an amazing effort to create the look of the Kathakali dance. Following this, a demonstration by one of the actors takes place which explains the various facial expressions, hand gestures and the meaning behind them. To try and explain them to you would take an inordinate amount of time, but below are a selection of the different expressions available to an actor, with training to reach this stage taking many years before their craft is refined. Even the shaping of their eyes and which they look, combined with a different facial expression and hand gesture creates a different emotion. A truly amazing level of detail. Sadly the combination of eye movements, hand gestures and facial expressions was lost on us once the performance began, despite being explained in great detail prior. Each actors facial expression changed every few seconds, combined with a different hand gesture, made it almost impossible to keep up with the detailed narrative. There was however, a darker undertone to the show we witnessed, with the overarching narrative disconcerting. The story we were shown was between a man and a woman, a woman who constantly spurned the advances of the man. What followed was 2 – 3 hours of the man trying to woo the woman, through various dances, the show becoming increasingly aggressive as the male became more desperate to win the woman. It was strange to watch a man essentially forcing himself onto a woman, the music growing louder and aggressive as he kept making increasingly invasive moves. Perhaps we’re just too uninformed on the intricacies of the dance, perhaps we’re being too sensitive. 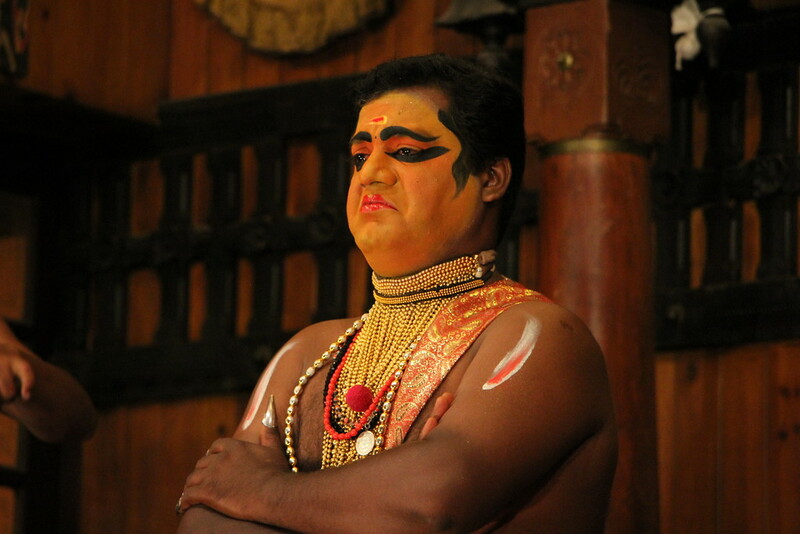 Although it is a traditional dance in Cochin, and we appreciate the effort the actors go to, we felt growing levels of unease as the show progressed, irrespective of whether it is tradition or not. There was a dark underbelly to the narrative that we didn’t appreciate. We wouldn’t say we enjoyed it either, quite the opposite actually. The overarching storyline made us uncomfortable, and combined with the constant banging of a drum for 2.5 hours gave us a splitting headache. Perhaps if we understood the intricate movements better it may have helped, but it still wouldn’t change our unease at the overall spectacle. Would we recommend it? Certainly not the part of the story we saw. Perhaps if a different part of the story was staged we would feel different, but based on our experience we would not recommend it. Our advice would be to ask more questions before going. How long is the show? What part of the story will be shown tonight? Are there other types of performance as part of the show? 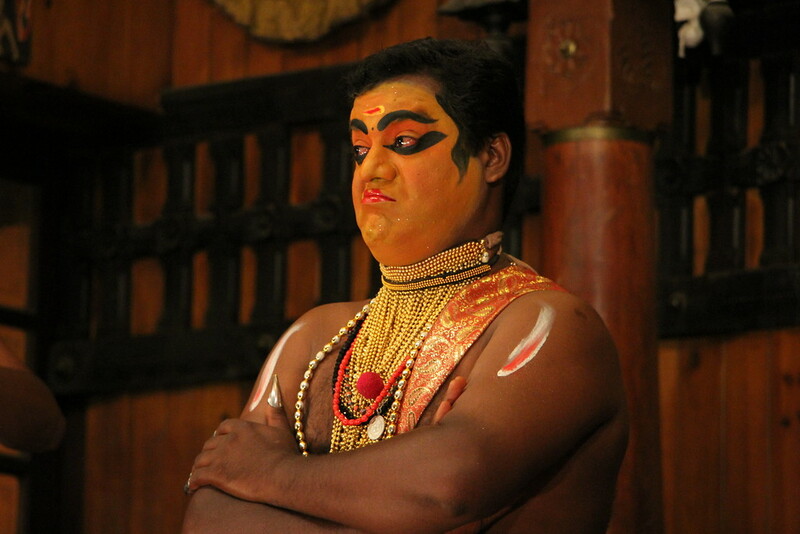 Perhaps then we would reconsider, but our experience of Kathakali left a bitter taste in our mouth, and sore head to match. 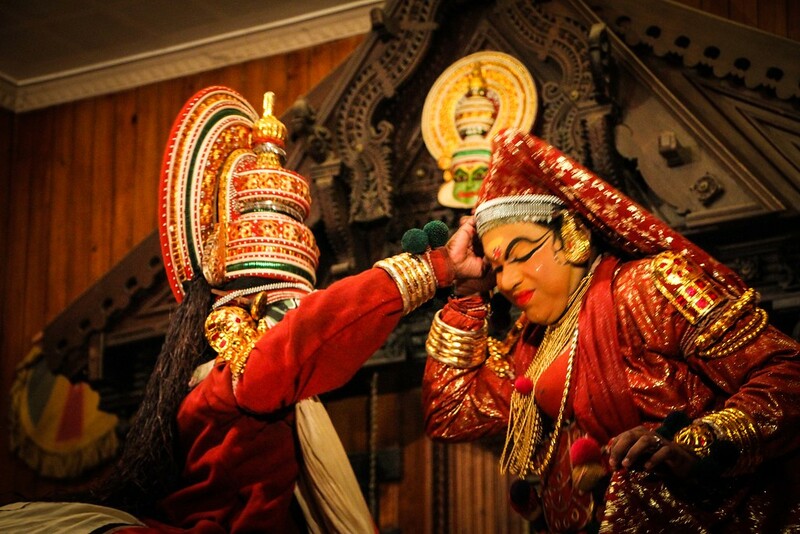 Have you been to a Kathakali dance? What did you think? Looking for more India inspiration? Click here! Yes Chris I think a few directed questions would be the best strategy! 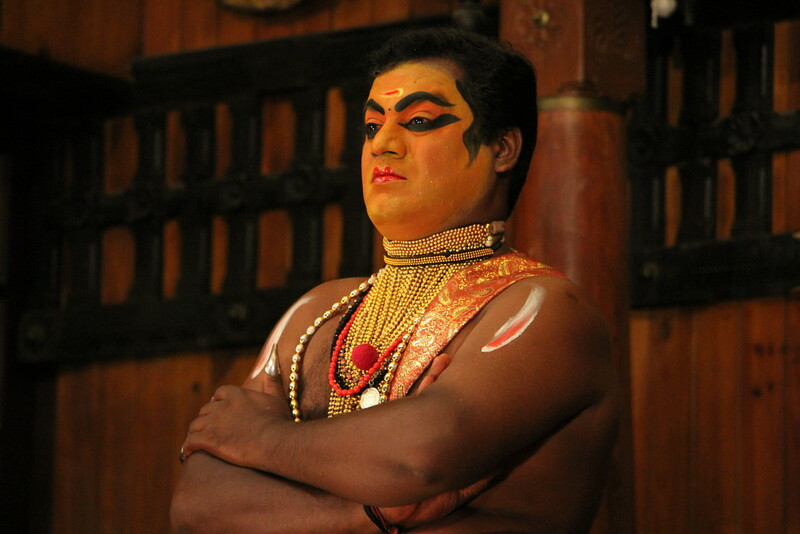 I’ve heard there are other performances in Cochin where it is a mixture of Kathakali and other dances/art forms which I think would be a much better option that solely a Kathakali dance. 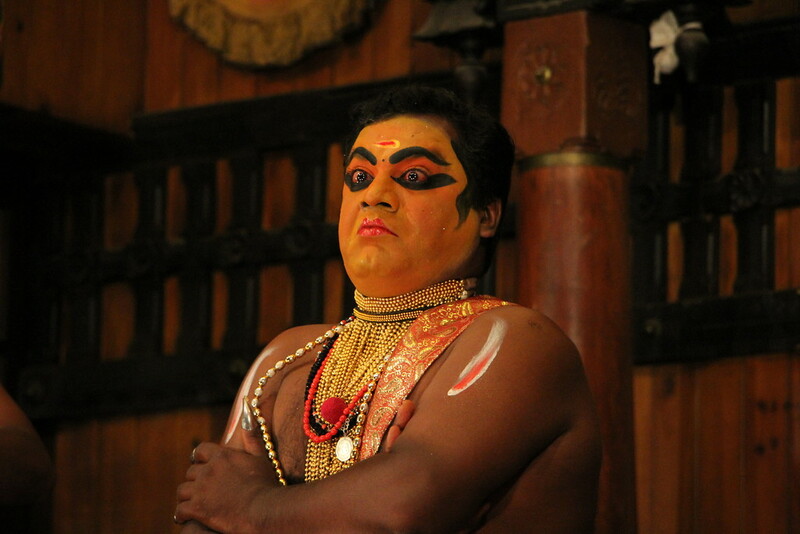 Hi Barry, It’s interesting to read about your ordeal at the Kathakali performance in my hometown. I would blame it on the tour organisers who advertised it to you as ‘a must see’. Let me be very clear on this: think twice before experiencing anything purely and uniquely Indian. It won’t be easy for you to get anywhere near the concept of a traditional dance-drama performance, a temple ritual or a countryside festival, or even why an ordinary Indian behaves or talks the way he does. Some things are pretty much Indian and they require (perhaps) an age to comprehend, even for some Indians. 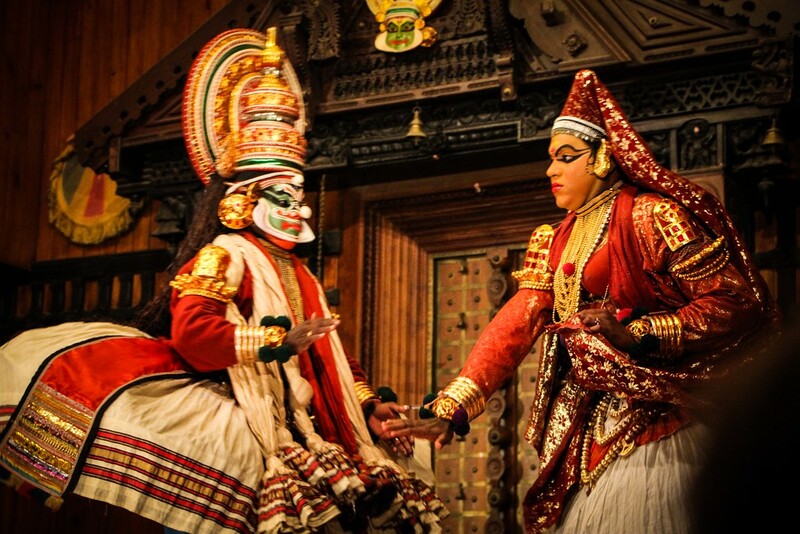 Kathakali, as you have described in your article, is a detailed and intricate art form which tries to translate written literature into visual forms, without stooping into modern acting methods. Remember the British novelist E.M. Forster who called India ‘a muddle and a mystery’ in his novel ‘A Passage to India’. By the way, great photos. Such a great comment Pramod, thank you so much for taking the time to expand on the Kathakali dance from an Indians perspective. I think you’ve hit the nail on the head with regards to culture and the depth by which we can understand it given we’re only able to spend a few weeks (or at most a few months) in a country. 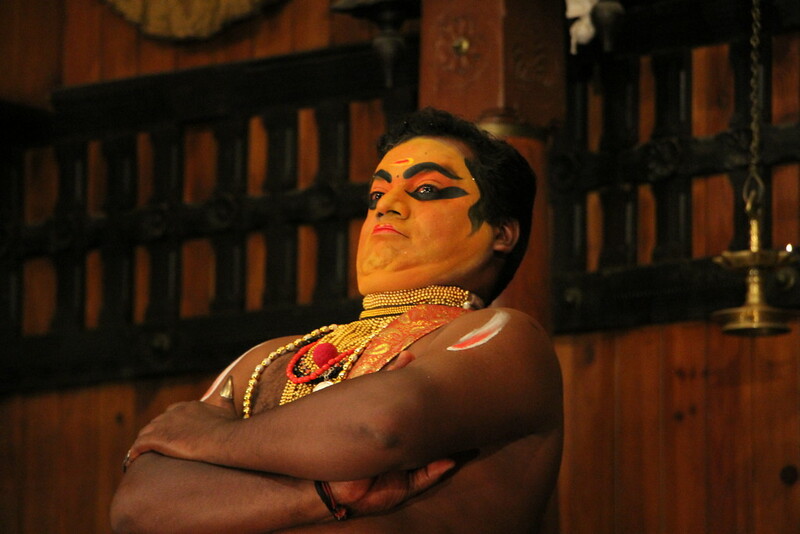 That was why I was so torn about writing about (and criticising) the Kathakali dance. On the one hand, I know that we didn’t have a strong enough understanding of it to begin with, so what right do we have to analyse and criticise it? After all, it is seemingly one of the most complex cultural performances we have ever come across. And as I said in the article the degree of intricacy was incredible. On the other hand, I am reassured to know that even Indians would struggle with the nuances of the performance. I guess we decided we wanted to be honest about our experience. We could’ve written how wonderful it was and how everyone should experience it, but, for various reasons, we didn’t enjoy it. I thank you for your response as it has reassured me that it wasn’t just us who struggled with it, and that is perfectly acceptable to leave the dance with a sense of confusion. Thanks again for your viewpoint, it is much appreciated!